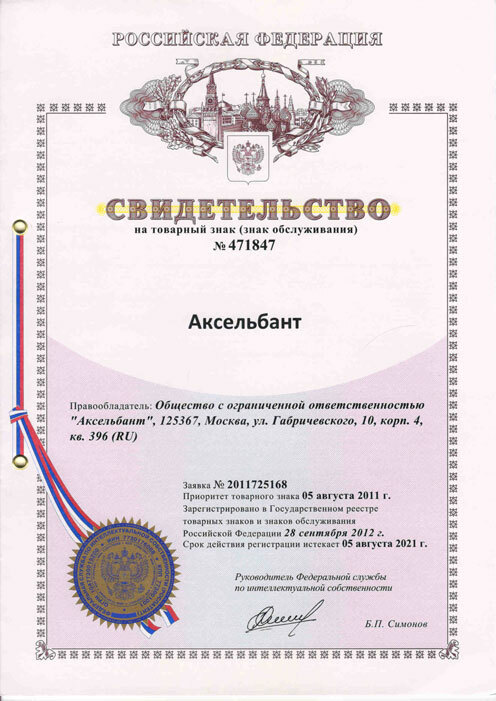 * LLC "Axelbant" is the original equipment manufacturer and the official dealer of OOO NPP "Doza", JSC "SNIIP-Plus" and NPG "Omega-Mera" (FSUE "VNIIFTRI"), "Ecoinspect" Ltd, LLC "RTK IMPEX". Products of these enterprises are sold at the price of the manufacturer. Methods of payment, you can choose while ordering: non-cash payment in rubles and US dollars, electronic money or cash on delivery paid to a courier (not all regions), credit cards via PayPal & RBC Money. PayPal supports 24 currencies. Radioactivity exists in our life irrespective of our will, whether we know about it or not. Radiation cannot be perceived by any sense organ; it is neither seen nor heard; it is not smelled or tasted; it is not sensed by the skin; it does not affect the vestibular apparatus. But it surrounds us everywhere more or less: natural radiation background conditioned by cosmic radiation and by pure earth radiation is always there; walls and tableware at home may emit radiation; radiation is always present in foodstuff. In medicine various treatment and diagnostics methods using ionizing radiation have been applied for a long time very successfully; possibility of radioactive contamination due to emergency situations at radiation-dangerous enterprises will always exist, too. But we shouldn’t be afraid of radioactivity; we must know about it! We can measure the level of radioactive contamination using a dosimeter or a radiometer by ourselves or ordering service in a radiation control laboratory. There are various dosimeters and radiometers in our shop: from simple inexpensive indicators to professional intellectual means of ionizing radiation measuring devices, from a dosimeter for an average man who can measure radioactive contamination of cranberries in the marketplace to intellectual dosimetric systems for banks which can identify radioactive contamination of paper currency. Our employees have long-term working experience in the field of nuclear instrument making industry, metrology of ionizing radiation and certification of ionizing radiation measuring instruments and they are ready to answer their questions related to radiation safety. CE sertification for "Expert" and "Expert-M" is in progress. - 0.15 mcSv/hour - approximate value of the equivalent dose due to natural background radiation, depending on local conditions can varywithin fairly wide limits (up to 1 Sv / h). Taken as the normal background radiation. - 0.3 mcSv/hour - valid value of equivalent dose on the premises. In the application of certain materials (eg granite, granite rubble in theconcrete) can be significantly exceeded. - From 0.01 to 0.3 mSv/ year - level requires an investigation (discovery) of the source. - From 0.3 to 1 mSv / year, calls for protective measures. - 1 mSv / year and above - the level at which intervention is necessary authority in the territories contaminated as a result of radiation accidents. It is a level of zoning (exclusion zone). - 0.67 particles / (s.sm2) - the permissible level of contamination of the skin of beta-emitting radionuclides Sr-90 (Sr) and Y-90 (iodine). After the accidents in Chernobyl and Fukusima there appeared radiophobia - the fear of impact on the body of radioactive (ionizing) radiation. People wished to be able to determine whether the environment, that is soil, vegetation, air, water, wild-growing berries and mushrooms, fauna, as well as clothing, materials, objects, food is contaminated with radioactive substances, and if it is, then to determine the level of pollution. - control the radioactive contamination of foodstuffs, animal feeds, objects or products, building materials, etc. Additionally it was possible that those devices could assess the flux density of beta particles and the human dose. The concept also contained the basic technical requirements for domestic radiation monitoring instruments and levels of signaling. For several years after the Chernobyl accident about 20 types of domestic radiation monitoring instruments were developed, some of which were put into serial plants. The most massive domestic dosimetry equipment to measure the dose rate of gamma radiation was the instrument "Expert" MS-04B. Altogether it was produced about 1 million of those instruments. Instruments that allow assessment of the level of dose rate of gamma radiation and the flux density of beta particles are MS-04B ("Expert"), "Expert-M" MKS-83B, IRD-02, and others. Instruments "Expert-M" MKS-83B, IRD-02 allow to measure additionally the flux density of spelled alfa, these devices are the complete radiological laboratory at home! 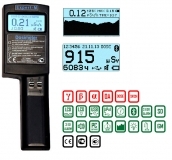 To domestic radiation monitoring instruments, registering only the gamma radiation, there are DBG-06T, DKG-RM1203 "Polimaster", MKS-05 "Terra-P", HENRI-01 ("Pine"), RBR-104 (the "Master"), DKG-03D ("Rook"), SIM-05 ("Jupiter "), miniature devices "Cricket "and others. 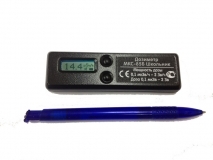 DKG-RM1203 "Polimaster" allow the measurement of accumulated dose. Out of the professional instruments that have passed metrological verification and are recommended for use in various government agencies, particularly in the Central Bank of Russian Federation, we can mention the IRD-02 and MKS-08P. At the market there are cheap imitations of indicators, key holders, pens and toys, the measurement error of such "devices" is not standardized; the manufacturers carefully avoid mentioning in the documentation terms and definitions established by State Standards. The cost of these toys is sometimes below the cost of the meter-detector of radioactivity, which is the main element of the dosimeter. This suggests that there are simply no meters. To help population to master knowledge in the field of nuclear physics and registration of radioactive radiation it was released for general circulation popular science brochure by B. V. Polenov "Dosimetric instruments for the population." Block diagram of domestic dosimetric instruments is about the same. They consist of a detector, that is a Geiger-Müller counter, cylindrical for registration of gamma radiation or end-window counter with a thin entrance window for registration of beta and gamma radiation. The device also contains an electronic circuit, indicator board or pointer instrument, a light or audible warning device, a power supply device. The counters could be made of semiconducter materials. Memory block and microprocessing of the results allow indicating the accumulated dose, transmitting data to a computer, carrying out other types of analysis of results. Domestic dosimetric instruments usually do not pass the metrological verification, but only factory calibration in accordance with the State Standards. However, they can accurately monitor the levels of radiation. In order to use domestic dosimetric instruments properly it is necessary to know the peculiarities of the various types of radiation (gamma, beta, alpha, neutron). Gamma (photon) radiation has a great penetrability. The average range of gamma quantum is about 100 meters in the air, and 10-15 cm in the biological tissue. The best thing to weaken the flux of gamma radiation is to use materials with high atomic number Z, these are lead, steel, concrete, soil, etc. Beta particles or electrons have a low range (a few meters in the air and a few centimeters in the biological tissue).The best screen from beta radiation is materials with low Z, these are aluminum, acrylic resin, etc. Alpha particles have very low range (no more than several centimeters in the air and no more than 0.1 mm in the biological tissue). They are screened even by a sheet of paper. Thus, beta and alpha particles are dangerous, mainly in the case of the skin contact and penetration into the body together with dust and food products. 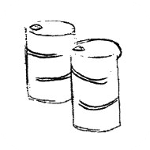 Neutrons (thermal, intermediate and fast) are uncharged particles. Average range of neutrons strongly depends on their energy. The average range of thermal neutrons is about 10-20 meters in the air and about 2.8 cm in the biological tissue, for fast neutrons the average range is 100-130 m in the air and about 10 cm in the biological tissue. To meet the neutron flux is possible, perhaps, in a nuclear reactor. These features of the penetration of different types of radiation impose restrictions on their discovery. If the flux of radiation is isotropic (uniform in all directions), its level (flux density, dose rate) is inversely proportional to the distance from the radiation source. Flux density or dose rate can be reduced by protection that takes into account the peculiarities of this type of radiation. We do not offer any coupons, bonuses, actions, gifts, affiliate programs or news posting. We do not decoy customers; we just manufacture and sell our products. We offer 10 per cent discount for a lot of 5 pieces or more. Delivery terms for products made by other manufacturers depend on availability of goods in store, but they do not exceed 14 calendar days from the moment of money receipt on our Company account. Usually the term is 2-3 days. 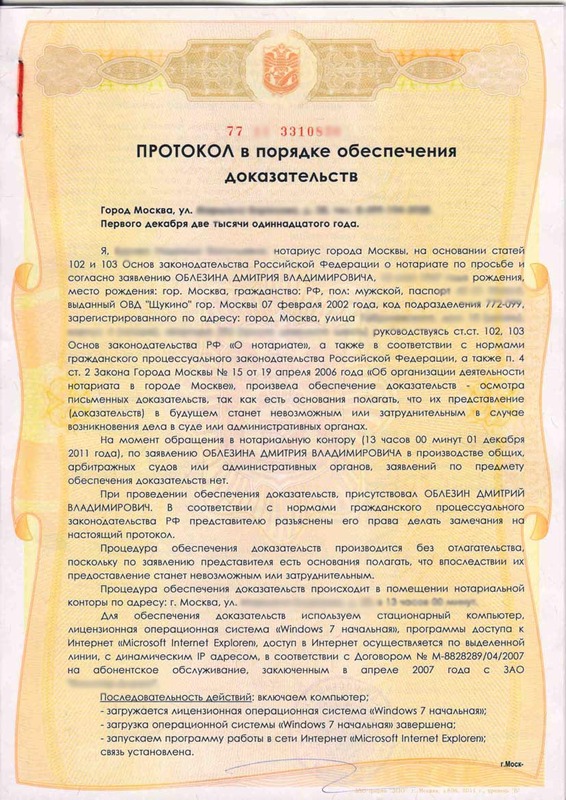 Non-cash, electronic money or cash to a courier at delivery (Moscow). Free delivery in Moscow. Deliveries to Russian regions, Kazakhstan and to Belorussia see HERE. How to get to our office Check availability of the required items and receipt of your payment before coming, please. All the trademarks mentioned in this web-site belong to their rightholders. Site content is notarised. Axelbant is a registered trademark.